Posted byBob Ramsey	 January 17, 2014 January 17, 2014 Leave a comment on Is there a Sales Stereotype? As a sales professional, has a prospect ever treated you rudely for no reason? Maybe she hung up on you when you called. Or maybe she was condescending during a sales call. And you thought to yourself, “why am I being treated with disrespect? She doesn’t treat other professionals like this. It’s almost as if people subconsciously distrust salespeople. Could this be true? Daniel Pink performed a study of this in 2012. In the first part, he sent out survey and asked, “When you think of ‘sales’ or ‘selling,’ what’s the first word that comes to mind?” He then looked at the responses, and eliminated the nouns, most of which were value-neutral. He then ranked the resulting adjectives by the frequency with which respondents used them. The results provide some unmistakable insights into the perceptions of salespeople. For example, the most common adjective used was the word “Pushy” followed by “yuck,” “ugh,” “hard,” “difficult,” “annoying,” “sleazy,” “slimy,” and “manipulative”. This doesn’t paint a rosy picture of the average salesperson. In fact, of the top 25 adjectives, only 5 can be considered somewhat positive (example are “necessary” and “essential”). The rest are all negative and reflect the distaste that people associate with salespeople. This is an amazing result. 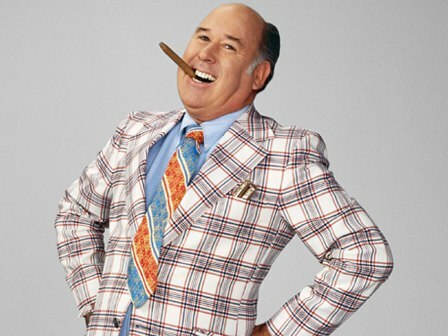 Even though, according to the 2012 Bureau of Labor Statistics, more than 15 millions people make their living in sales, and the vast majority of these salespeople do NOT sell cars, consumers still associate salespeople with the image of a slick, pushy, deceitful used-car salesman. Someone that they don’t trust and don’t want to spend time with. So what this mean for salespeople? First, it means that we all have an uphill battle to climb when it comes to building trust and establishing credibility. Whether or not your prospect admits it to you, he probably has a negative impression of salespeople, you included. So you have to go above and beyond to prove your trustworthiness, even when you don’t think you have to. As Pink says, it used to be “buyer beware” but now it’s changed to “seller beware”. Second, the fact that there’s such a strong stereotype of salespeople means that you differentiate yourself by breaking the mold.